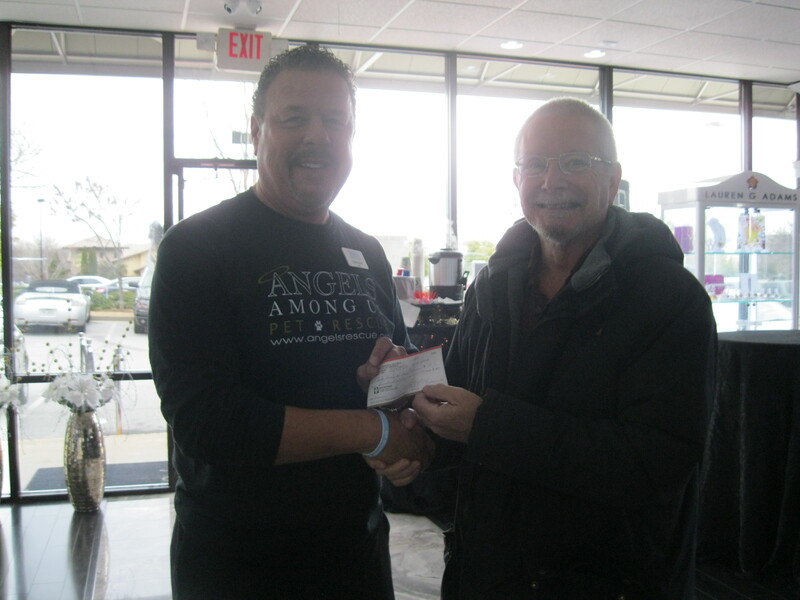 Vice President Geoff Fleck (right) presents a check in the amount of $500, on behalf of the West Georgia Chapter of the Antique Automobile Club of America, to Lance White, director of the Angels Among Us Pet Rescue. This rescue fosters 65 dogs per week which would otherwise be put to death. The presentation was made in December of 2014. 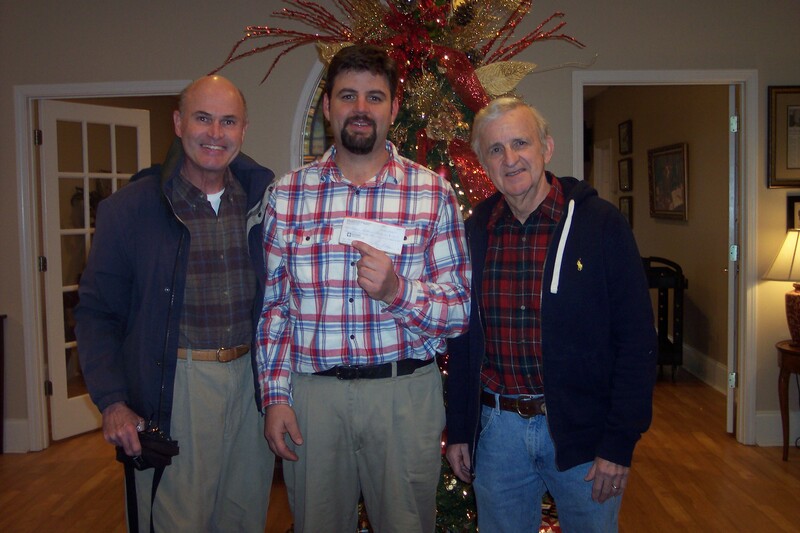 Brian Busby (center), Campus Director of Calvary Childrens Home in Powder Springs, holds a $500 check presented to him by Glenn Novak (left) and Bill Hearnburg (right) in December of 2014. Bill Hearnburg (left) presents a $700 check from our club to Brian Busby, Campus Director of Calvary Childrens Home in Powder Springs, in January of 2016. 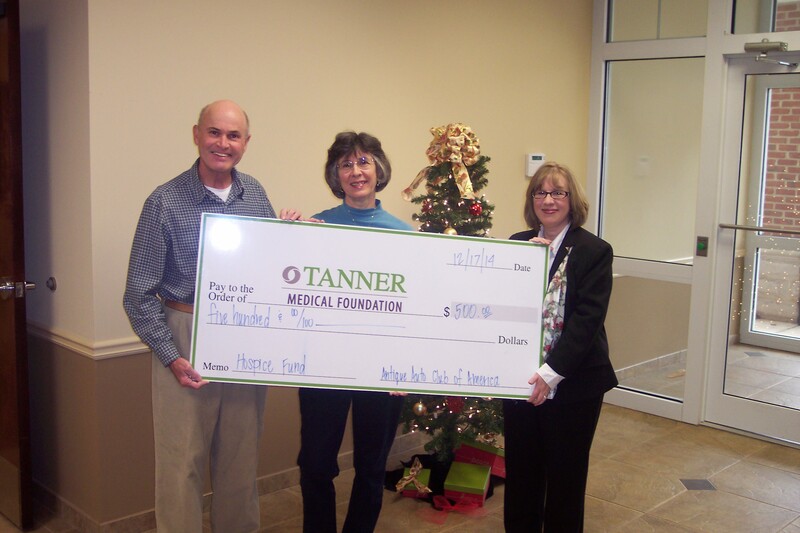 Club President Glenn Novak (right) presents a $700 check from our club to Vince Gibson, Founder of the Wounded Warrior Garage in Bremen, GA, in January of 2016. The West Georgia Region of the Antique Automobile Club of America (AACA) recently donated a $700 check to “Life is Labs Rescue, Inc.” of Temple, GA.
Liz and Rick Horne discuss The Rapha Clinic with Executive Director Dr. Joseph Cox after his presentation to our club membership. Rapha Clinic Executive Director Dr. Joseph Cox presents a certificate of appreciation to club President Johnny Waters. Our club received this certificate from The Rapha Clinic at our February 2019 meeting.